It begins in the year 1900, with the scream of a newborn. It ends, 100 pages later, in the year 2000, with the death rattle of a 100-year-old man. 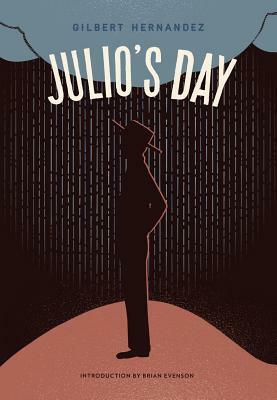 The infant and the old man are both Julio, and Gilbert Hernandez's Julio's Day is his latest graphic novel, a masterpiece of elliptical, emotional storytelling that traces one life -- indeed, one century in a human life -- through a series of carefully crafted, consistently surprising and enthralling vignettes. There is hope and joy, there is bullying and grief, there is war (so much war -- this is after all the 20th century), there is love, there is heartbreak. This Fantagraphics titles was chosen by NPR as among the best books of 2013.